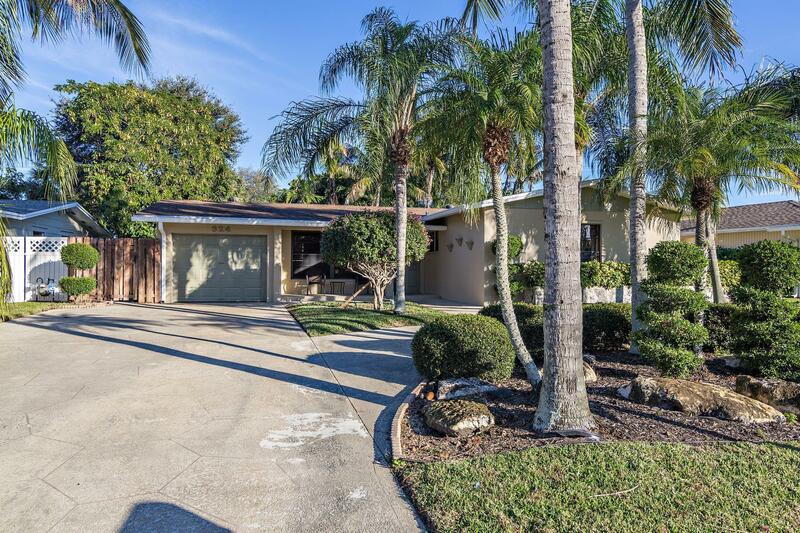 Move right into this immaculate, updated home located in the heart of PBG! 3 bedrooms, 2 baths with great room and large kitchen! 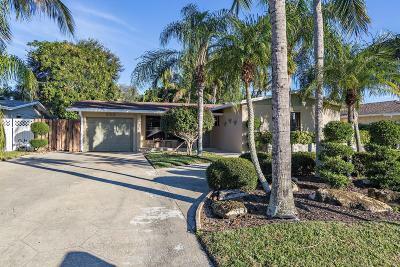 Travertine tile floors, hurricane panels, updated kitchen, appliances and bathrooms! Large covered patio with marble pavers and preferred East exposure overlooking private yard and pool. Beautifully landscaped yard with oversized circular driveway. No HOA. Great location in walking distance to elementary, middle and high schools! Close to shopping and restaurants! Pool is empty and needs to be refinished. Garage is shorter than a typical garage because the laundry area is part of the A/C interior space.